Would you be friends with Sherlock Holmes? Sure, he’s a total genius with a flair for adventure. And maybe you could borrow his hat. But let’s be honest: He was kind of a jerk. In fact, most popular fictional detectives would make terrible friends. From wisecracking Philip Marlowe to gossipy Mrs. Marple, detectives are typically creepy loners, ruled by suspicion, unable to trust anyone—especially people closest to them. Not exactly BFF material. And then there's Starlee Kine, podcasting detective extraordinaire. On the scale of socially awkward detectives, Starlee is the anti-Holmes. She’s friendly, empathetic, and is almost never seen wearing hats. Best of all, she’s not even a little bit fictional—she is the very real host of Gimlet Media’s knockout podcast Mystery Show. Starlee is a detective you want to be friends with. In fact, being friendly to strangers is how she solves most of her mysteries. Starlee only takes on mysteries that are “ungooglable”—meaning she has to look offline for the answers. To crack a case, she follows a meandering trail of stories, collecting clues from conversations with leads, witnesses, and a slew of bystanders. Along the way, these stories weave together into an entertaining, layered narrative that's less about solving a mystery and more about the power of human connection. Starlee proves that everyone has an interesting story hidden away— you just have to listen. Starlee sat down with me to talk about Mystery Show, why the internet is driving her crazy, and which detective is the most badass detective of all time. How did you come to focus on mysteries as your storytelling structure? I was looking for a way to tell a story where even I would be surprised. I didn't want to retell a story that had already happened or have people telling stories that had already happened to them. I loved the idea of something happening live. I found it really appealing not knowing where the story was going to go and where it was going to end up. That element of discovery and surprise is the same reason I like mysteries. Actually, I think the idea for mysteries came first before the idea for a radio show. I wasn't even really looking to do a radio show, but then suddenly I had this idea about mysteries. There is a lot of pressure in the media today to create bite-sized stories that allow readers and listeners to quickly digest the media and move on with their day. Your podcast goes at a much slower pace. Listeners sit with you for over an hour as you unravel each clue and dig deep. Was that pace intentional? I feel things getting smaller and quicker. Not to sound out of touch and old and all that. I feel like it doesn't just apply to the Internet, it applies to lots of things, like lots of movies too. I love long things. I want the episodes to be long. Originally I wanted them to never be less than 20 minutes, but now I think I never want them to be shorter than half an hour. The last one was 77 minutes and I loved that. I was so excited. Maybe other people thought it was too long, but I loved the idea of making something really substantial. How do you control the pace and length of the episodes to make them more substantial? I build in a lot of moments that are about the individual themes being able to unfold. For instance, I let the music play longer than I would do on a This American Life story. I think about the passage of time a lot in the show. The whole thing is that you have to convey that time has passed in order to feel like I'm on the case. If I solve it too soon, I don't think it's still satisfying. It's not just listing a whole bunch of steps. It's about actually experiencing the process of moving through the case. A radio podcast is a really good medium for that because you're actually experiencing something instead of reading a list of steps on an Internet screen. Why focus on making something substantial in a world that appears to want sound bite-sized entertainment? I think I need it. I think maybe other people need it too. Not to be all lofty, but the response has been nice. I feel like we're living in this time where if you don't read the thing on the Internet that day, then you missed it. It's already too late to not only catch up, but to care anymore, you know what I mean? You couldn't send around that dress right now. It's over. We think the Internet is independent of time, but it's very dependent on time. It's about seeing a post at the same time as everyone else sees it so you can tweet about it and talk about it. I feel like you need some anchors that linger. I need it personally. 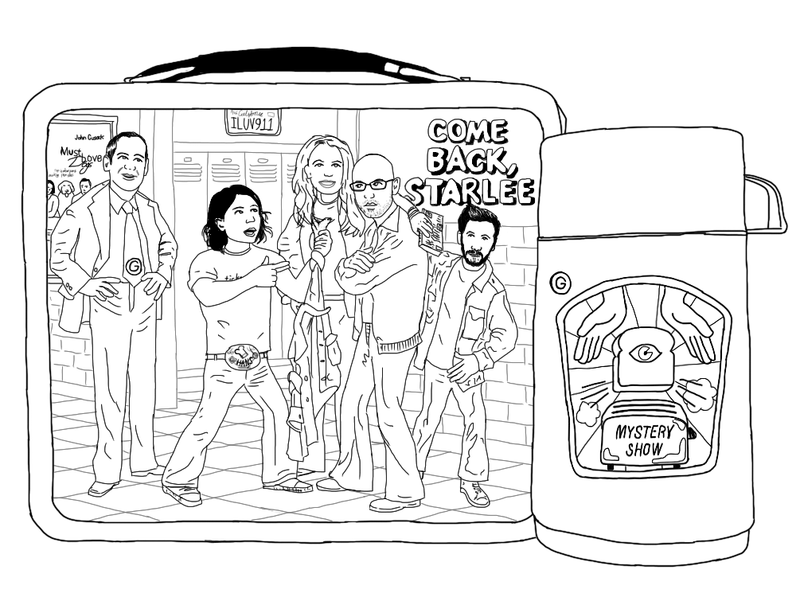 I need to feel something different, so maybe that's why I did [Mystery Show]. I think the way to communicate that is to have the episodes be longer, but also to give less of them so that you actually have to pay attention when they're on instead of thinking, "Oh, there's going to be another one the next day." As a child, were you a fan of The Hardy Boys, Nancy Drew, Harriet the Spy, or any other fictional detectives? I know I read Nancy Drew but they aren't formative memories. I want to say Dickens made more of a huge impact on me. I know they're not straightforward mysteries, exactly. But the world in Great Expectations, for example—being full of these wonderful secrets that you are just waiting to uncover—is more the model in terms of literary references. I love Dashiell Hammett and Raymond Chandler, but the noir world is something I only lightly like to weave throughout the show. In terms of the real feeling of going around and meeting people, I think it comes from other styles of books. Books about mysteries are not really about humans connecting. Mysteries about humans are not about humans? They're a lot about humans turning on each other or interviewing them for clues or talking to them a certain way in order to get information. I feel like my biggest role model in terms of a mystery thing is not from a book. It's Columbo. If you watch Columbo, he's very different, he's a completely different kind of detective than all the other detectives, like Philip Marlowe and Sherlock Holmes and all those classic detectives. They don't know how to connect to people. They can only be on the case. There's a certain kind of archetypal detective character but Columbo is not like that. He's always on the case, but there's also lots of scenes where he's genuinely connecting to people. He manipulates the people that he knows did it, yes, but there's also always people around him that he interacts with. That he really cares about, and he often really cares about the murderer. So, Columbo and Dickens. I see that in Mystery Show. I always loved Columbo, I watched it all the time when I was little. I dressed up as Columbo for this report when I was in third grade. It wasn't a report about Columbo. It was a report about something else and I just showed up in a Columbo outfit. I was obsessed. It wasn't until I did the show that I went back and rewatched episodes and I realized how much it connects to what I'm doing. And those episodes are 80 minutes long. They're really long. You have a wonderful way of weaving many different stories into your episodes. For example, everyone loves the Ticketmaster guy, Dennis. How inclusive are you when solving mysteries? Do you talk to every single person you meet? I do talk to everyone. I approach it all like everything could be a part of the story and everyone could have something. The main thing is to try and approach them openly. If I were to have called Ticketmaster and been like, "This is going to be this moment," nothing would've happened. You have to be super aware and super willing and patient to see where the story is taking you. It sounds corny, but I do think in the case of Mystery Show, the mysteries are guiding me to how the narrative is formed. Which is what I find exciting about doing it. Do you use any personal anecdotes to get people to open up to talk to you? I don't actually. I really don't, unless it really applies. Like with Dennis, when I tell him I feel I understand him. I think it was helpful for him to hear that he wasn't just spilling out to someone without me identifying. It felt only fair if he's going to be vulnerable to me, I should be vulnerable to him. What's weird, for the most part, there's not a lot of openings for me to talk about myself. I'll answer any questions, but I feel it's not the goal of this. Unless I'm completely deluding myself, it seems more important to me to listen. You spend so much time intensely connecting with people for Mystery Show. How has this changed your personal social life? It's harder to talk to people in between. I'm not saying I have a superpower, but it feels like Wolverine after Wolverine's nails come out. He has to do it and then he's got to rest. It's hard because I'm genuinely talking to people and I'm genuinely connecting with people. In those moments in between, I don't ever feel the urge to tell people when I'm working on a case. I'll go out to dinner and they'll be like, "Tell me what's happening. Tell me what happened when you went to Vegas." I just don't want to talk about it. I also feel the more you understand that there's people out there you can connect with, the more you feel like you should be doing it all the time. It gets to a point where I'm afraid of calling a customer service person now, because I feel like, oh I know that they're people. I feel like if I don't connect that way on the phone, I've failed or something, like it should be happening. I almost avoid making phone calls now. Have you developed surface niceties or ways of going through the motions and talking to people so you don't delve into a big conversation? A little bit. I don't want to do small talk, that's more exhausting than connecting with someone. But there is a feeling of having to reserve my energy for the show. There's this thing that can happen when you're really open to connection: it keeps going. I don't know if domino effect is the right term. When you're so open to people and talking to people, you naturally are connecting without even thinking about it. I've had stories I've been on where every time I turn around someone tells me something or I tell someone something. It's because you're kind of high off of it. High off of being open to people and people being good and then surprising you in the right way. That's really amazing when it happens. Who knows what would happen if you could sustain it for every day, but it is an incredible feeling when it does happen. Like when Dennis said, "If everyone took care of each other, no one would have to take care of themselves." That's one of those amazing things that come out of those moments. He was good because he was such a good guy. He wasn't trying to impress me, he wasn't trying to sound better than he was. He really meant it when he said that. That's what really struck me about him. Motivational speakers try so hard to come up with that kind of line, and it always sounds so phony. He wasn't trying to do a line. He was talking to me and he meant it. What would you say is the most important social skill for relating to a another person? Earlier you mentioned listening and being open. Any other tips? You know what I think is the most important social skill when it comes to listening? Not listening in a way that is about what you would do. I know personally—when I see people giving advice, the best kind of advice you can give is not the kind that comes from a place of what you would do. It's a different thing, to listen. I feel like approaching a person equally is important. Not bringing in your opinions. It's very rare to have someone listen to you like that this day and age. It's a great gift to give someone. When you're a reporter, or journalist or whatever, a detective, there's plenty of reasons why people should be wary of you, right? So when someone shares their story with me, I feel like I owe them a lot. It’s only fair that I am responsible and listen to them. I think doing this show makes me the better person. OK. Back to Mystery Show. Are there any places around the world you hope the show will take you? I'm going to go to Europe. I would like them to be everywhere. All of it. Specifically, I haven't been to Japan, so I would like to go to Japan, and I would like to go to Africa. Now it sounds like I'm letting the other ones go—but those are the two at the top of my list. Hopefully, if all goes well, if I solve these cases, there'll be international mysteries this season. There is usually a long wait in between episodes. 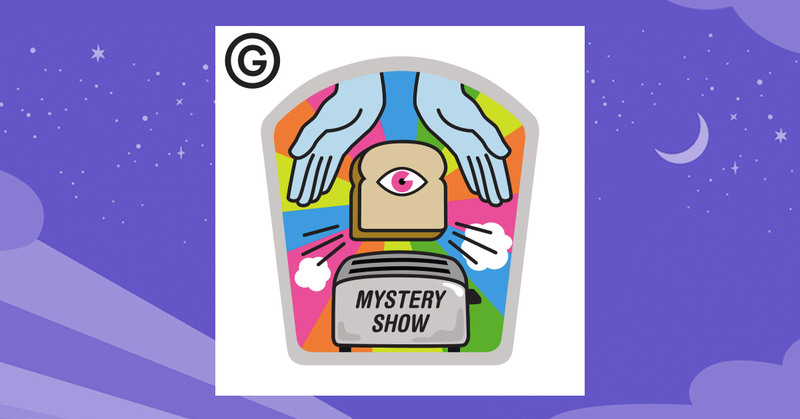 What other podcasts do you recommend fans listen to while waiting for the next Mystery Show episode? I recommend listening to all the Gimlet Media shows… Reply All and StartUp. Wiretap, although that just ended. Another one I’ve been listening to is Limetown. I do feel bad that fans have to wait for more episodes. I got this one letter from this dad who couldn't connect with his teenage daughter and the only thing they could talk about was Mystery Show. They lived in a rural town and he has to drive her to her bus stop an hour away. They finally started talking for the first time since she became a teenager because of Mystery Show. When I read that letter, I was like, "Oh my god. What are they going to talk about now? What's going to happen to their relationship?" Not that I'm trying to give myself too much power, but I do feel bad. But I also like there are fewer episodes. I feel like everything is reverse of the trend right now. Good suggestions to tide listeners over. Finally, you are so open to talking to people on the show. Are you equally open to talking to your fans? I know a lot of people contact you via social media. I love it when people come up and tell me they like the show. It's weird because I want to respond to them, but I want it to be in the voice of the show. I'm always aware of the world of the show. That's the main thing. It's never like talking to fans is a burden, but I want to make sure every part of it is thought out and intentional. I don't want any of it to be a throwaway thing that I say. I want it to be meaningful.